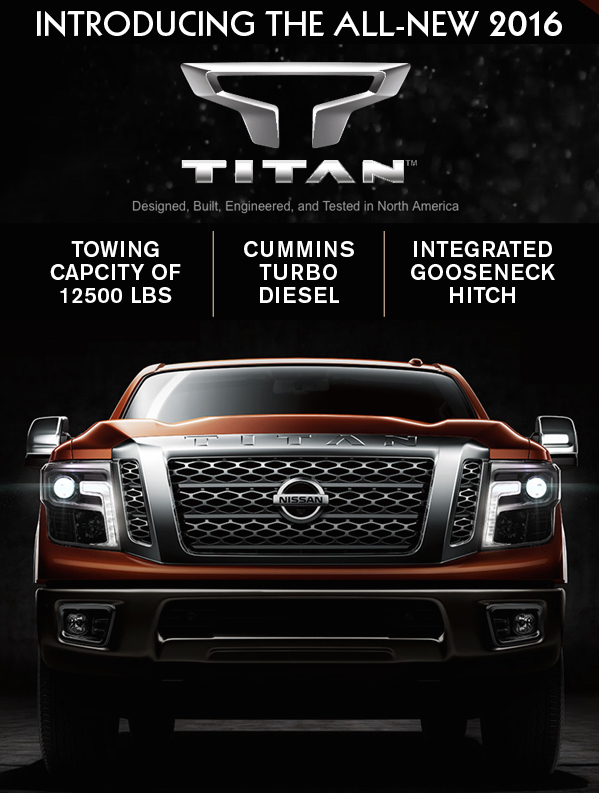 In a class all its own, from its Cummins Turbo Diesel to its gooseneck hitch, TITAN brings a heavy-duty attitude to the full-size truck. The first in a lineup of all-new trucks loaded with Nissan innovation. Tow with Authority – If you’re serious about towing bigger loads with greater stability, a gooseneck hitch is a necessity. That’s why we engineered one right into TITAN’s bed. Step Up to Commercial Strength – You’d expect a fully boxed, full-length ladder frame. 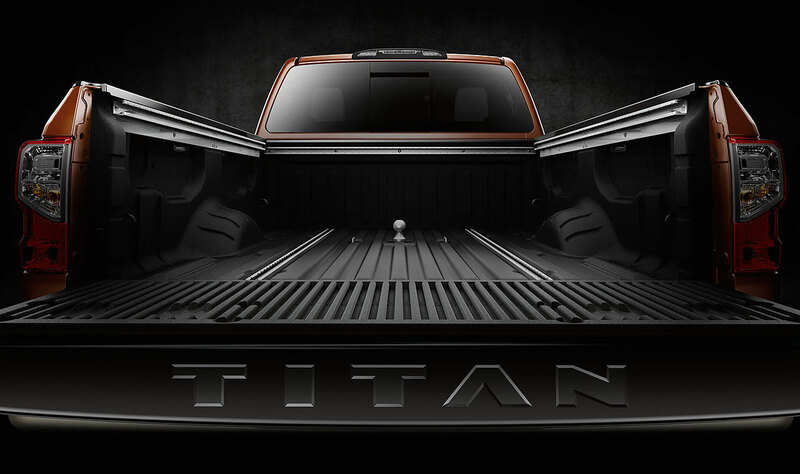 But TITAN goes further, incorporating components developed from our Nissan Commercial Vehicles program. 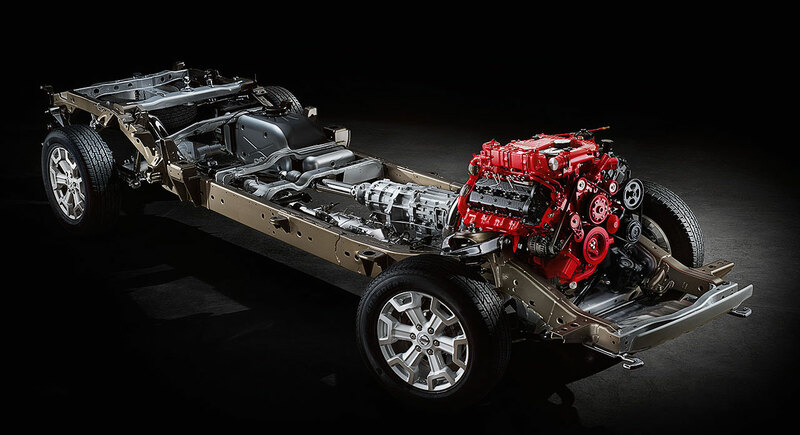 Cummins Turbo Diesel – Under the TITAN’s hood is a 5.0 L V8 Cummins Turbo Diesel, providing massive torque, impressive efficiency, and legendary Cummins reliability. Shed Some Light on Innovation – Start with Nissan’s legendary Utili-track cargo system, add in new bright LED lighting, and you’ve got a bed that works smarter and harder, 24/7.